ASTICOM TECHNOLOGY INC. (ASTICOM) is an HR solutions company established in March 2015. Formerly known as Ayala Systems Technology Inc and part of the Ayala Group of Companies, its services includes Recruitment, Payroll Administration and Management, and Outsourcing. We provide talents in the following talent segments: Sales, Marketing, Finance and Administration. OUR SERVICES INCLUDE Payroll Administration and Management Project Employees Deployed to Clients Outsourcing / Shared Service Model OUR PROMISE To provide all out clients with end to end client and employee engagement. To provide dedicated account managers for our clients and dedicated area managers for our employees. To provide services that will support the overall efficiency and cost targets of the company. To align with our client’s values and service principles through on boarding and training To provide the flexibility to manage operations through ASTICOM. We have dozens of job openings for people who are interested in working with technology and IT. Start your careers in ASTICOM Technology Inc. today! 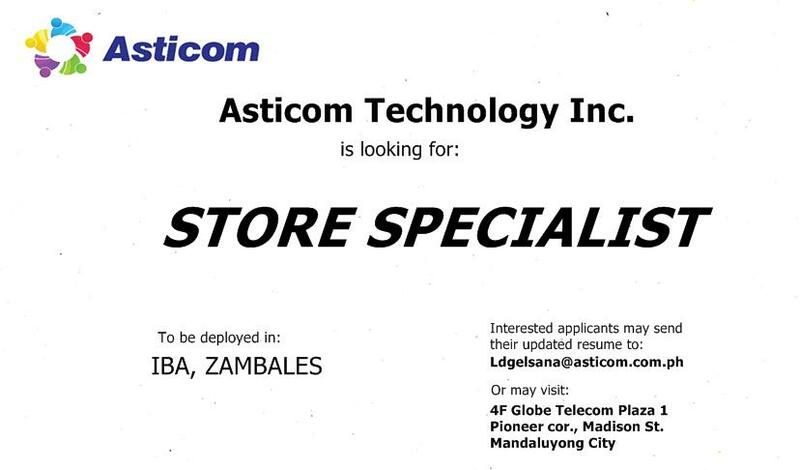 Job Openings at ASTICOM Technology Inc.